Help CentreUsing SuperControl Configuring my propertyHow do I add property regions? It's possible to section your properties into regions (under Properties > Regions). It might be useful to categorise your properties by region if, for example, you have many properties geographically spread. 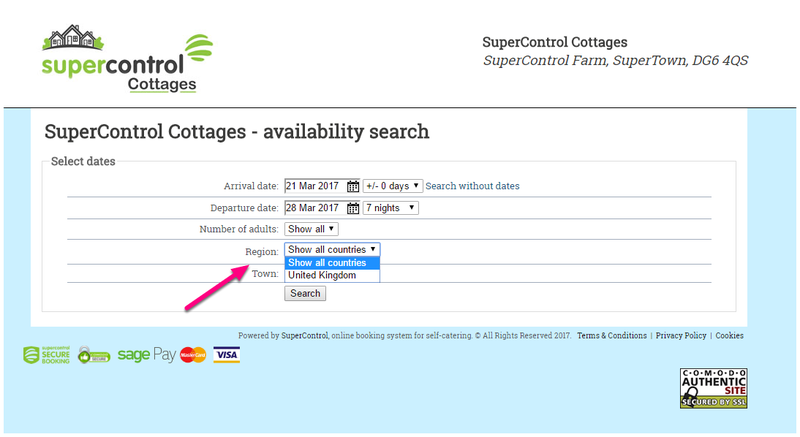 You can set up your website so that guests can search by region. 1. To add a region, type the region name into the field provided. To add a sub-region, press "Insert". 1. Before you can search by region, you must allocate the property to a region. Go to Properties > Edit > Settings, and scroll down to Region. Select the region against the property, then Save. 1. 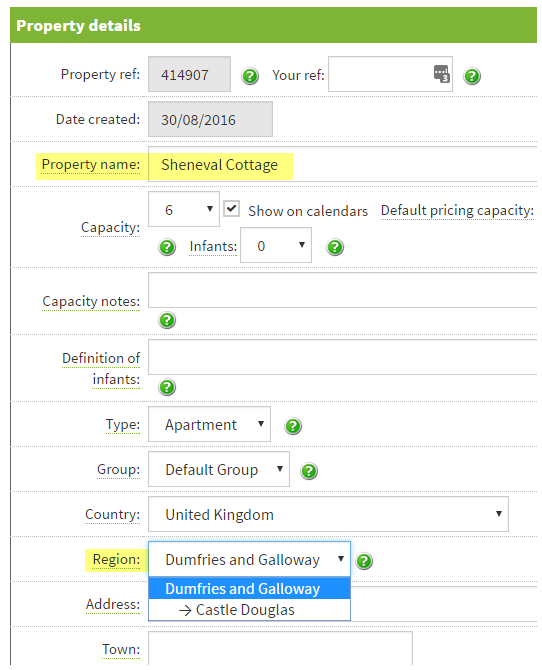 Allocating a region to your property will allow admin users to search by a region using the Availability search. You can also search by country using the Grid view, advanced options. If you have this set up, users will be able to search by region on your website as well. Prev: How do I set-up property types? Next: How can I set up property reminders?